This last Sunday we had some very informative genealogy doin’s going on here. 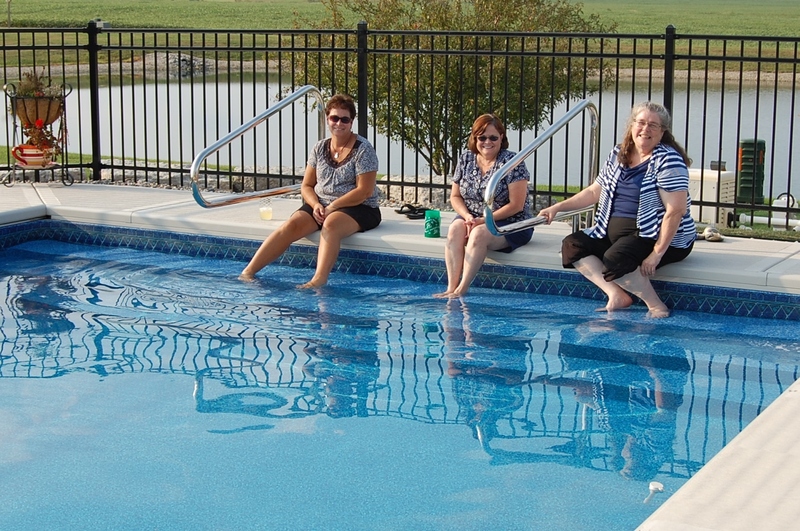 The lady’s from left to right are Tom’s sister Ellen, Cousin Patty, Cousin Margaret on their mothers side. Margaret was our genealogy presenter. It was very interesting and we learned things that didn’t seem to be brought out before or were misconceptions. We saw family photos that no one had seen before either. Margaret had gathered a lot of information. I do think it is interesting that they seemed to dress that morning in the same shades of clothing. They were sticking their feet in the pool waiting to swim. Tom was doing a sweep of it first. Some days there is just not enough time for everything. I don’t crochet and I admire people who do. I just can’t wrap my brain around the instructions. 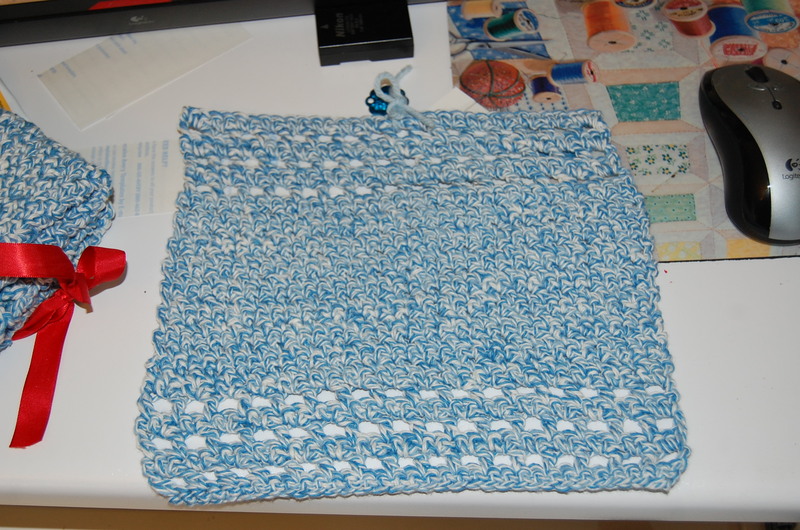 I was thrilled that Margaret chose to share these wonderful wash cloths that she made. They are very soft and pretty. I was very lucky. 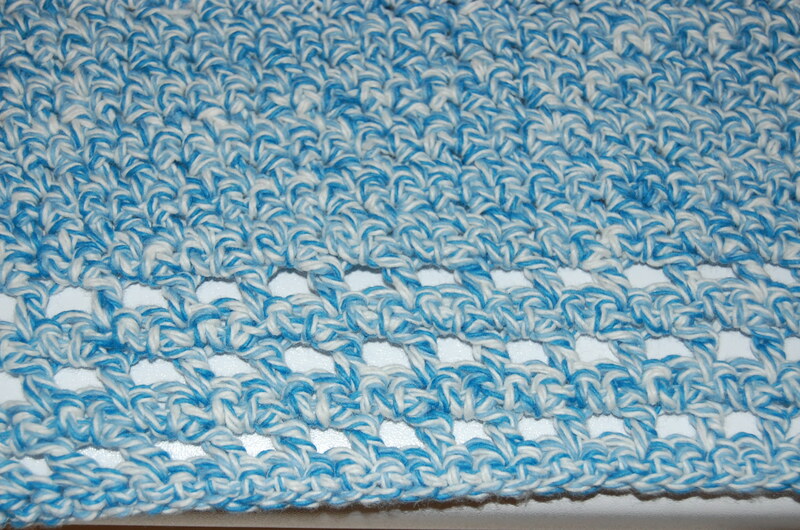 Close up of the pattern and color. I love to get handmade items. Thank you!